Your Great Grandfather did a lot of bear hunting in the Rogue Valley or surrounding mountains. The connection to and through the local environment is so awesome (the old definition of that word) and amazing. Wow, that is a powerful painting! Thanks – and I did not know about the bear hunting. Your father’s father? this is exciting work. I love it. I once worked at the California Academy of Sciences in San Francisco, and the taxidermist there got a CAMEL to prepare for an exhibit. 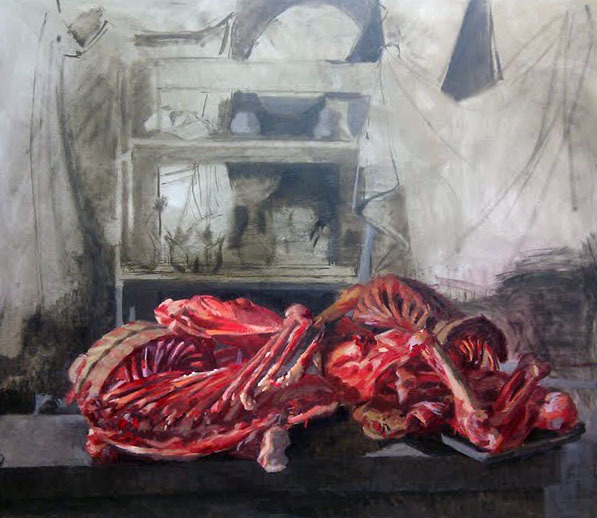 The camel skeleton (and the smell of its the meat in the dumpster) makes the bear skeleton on the canvas as mild as experience as looking at a still life with red roses 🙂 just kidding :). I can’t wait for the unveiling at Smithfields. Will Smithfield’s be serving bear meat? You are doing terrific work. That is hilarious and horrifying! (Wish I could have seen it!) : ) And I don’t think Smithfields will serve bear meat. Thanks. 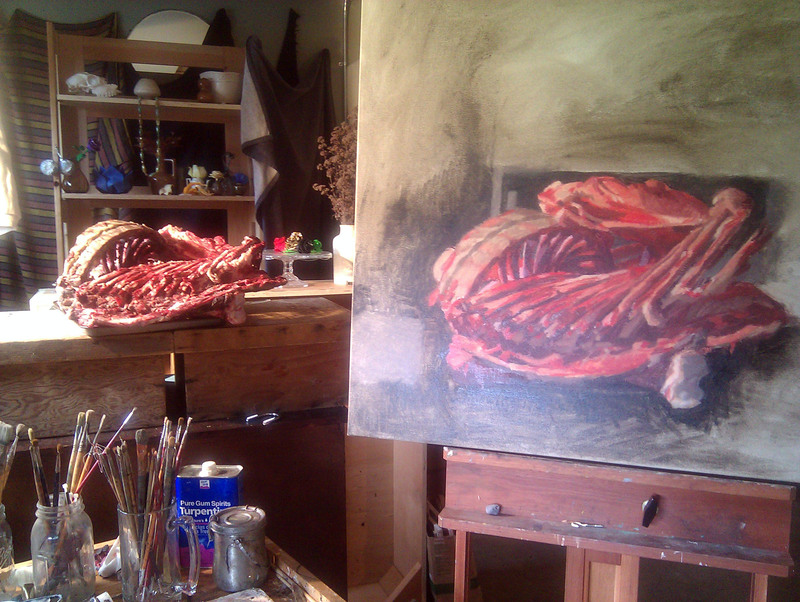 Patrick says gruesomely realistic!! Amazing work Sarah! Can’t wait to see them all! Ah yes! That’s right the hunter! thanks!